Barbour x Triumph 2015 Capsule Collection | Valet. Two British icons join forces for a hardwearing capsule collection. 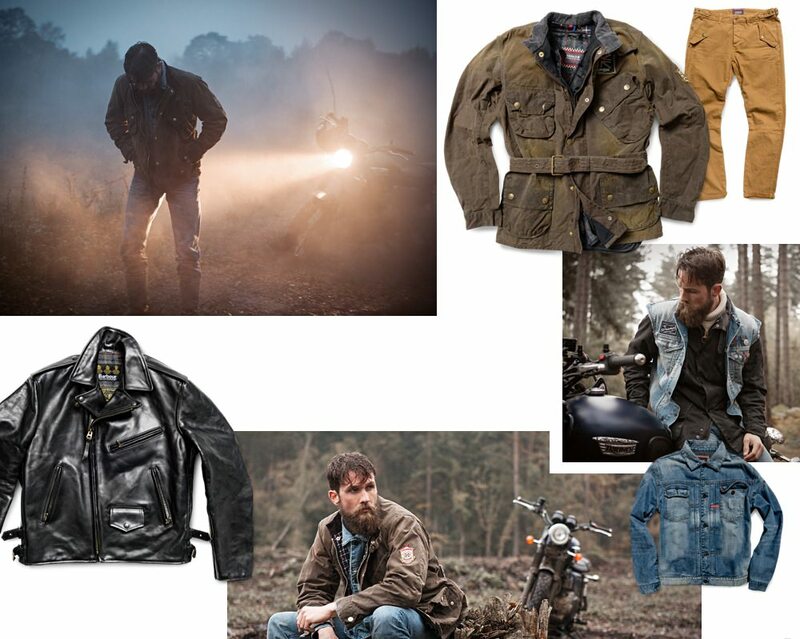 Barbour International and Triumph motorcycles have a lot in common. They're both British, badass and known for quality craftsmanship that can last a lifetime. So really, it makes sense that these two iconic brands have collaborated on a capsule collection of hardwearing gear celebrating their heritage. The line is a modern interpretation of classic motorcycle style pieces, drawing inspiration from guys like Steve McQueen, who wore Barbour pieces while riding his Triumph Trophy in the 1964 ISDT. The weather-resistant pieces are ideal for layering and have arrived just in time for the coming cold weather.